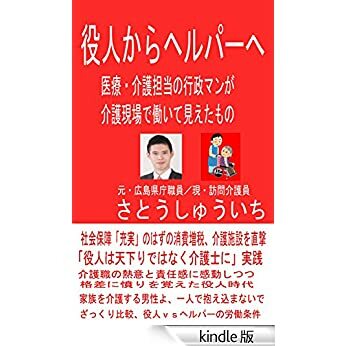 Part-time workers in Japan have been suffering from bad condition. One-third workers in Japan are part-time workers or dispatched workers. Half of women or young workers are part-timer or dispatched worker. It is easy for their boss to fire part-time workers in Japan. Many women are fired because they required birth-giving off. If the employer is government, it is more easier for the employer to fire part-time workers than private companies, though regular workers of government is protected more strongly than workers of private company. The courts have not accused the governments for firing part-time workers. When they work in private company, the court sometimes admits that there is right to expect renewal of contract. But if they work in government or local government, the court does not admit the right! 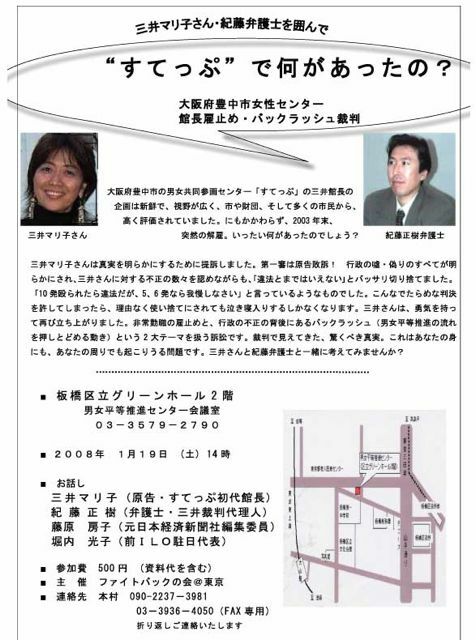 My friend My friend Mariko Mitsui was the director of the STEP, Center for Gender Equality, Toyonaka, Osaka. She was fired in 2004 and she made lawsuit. She was not public worker, but Toyonaka city had right of adoption and fire substantially. Osaka local court did not admit her right to expect the renewal of her contract 2007, September 12th. But change was coming in 2007. 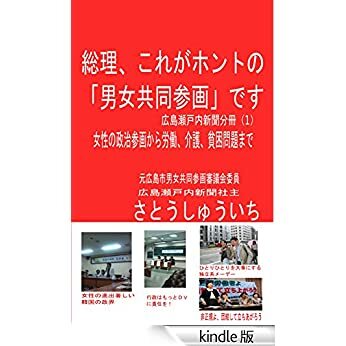 Tokyo higher court accused Nakano district for firing a part time nurse November 26th, 2007. The highest court admitted requirement from two part-time worker of Showa town Yamanashi. They are fired by mayo. When they required explanation from the town, the town explained that they are lazy. They felt they were hurt their heart and made lawsuit and won. I think it is unpardonable that governments escape from duty of protecting part-time workers rights. Why can they protect human rights of the people? Why can they promote women’s rights while they are infringing women’s workers?